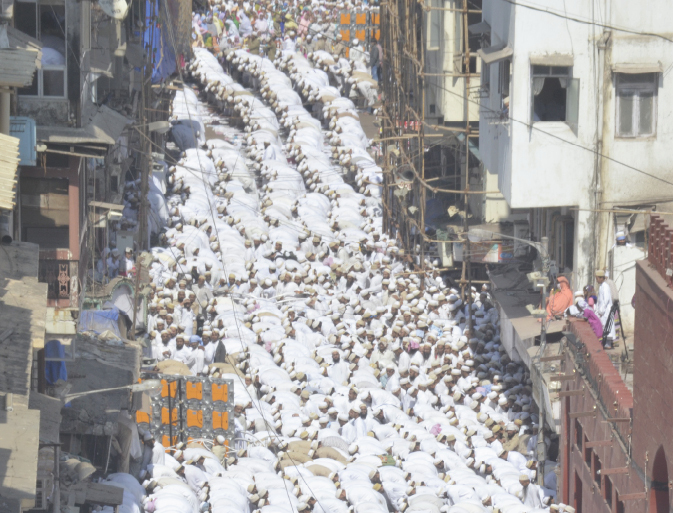 India MUMBAI: The BJP government stopped the Haj subsidy from this year , so some sections of Muslim community are demanding that they must return the Waqf land to Muslim community which is under government control. The Muslim community is the real owner of more than six lakh acres of Waqf land in the country. These lands were endowed for the welfare of Muslim community. But the government is controlling such huge number of Muslim waqf land spread all over the country. When government gives pea nut like subsidy in the name of Haj subsidy, a lot of hall-gulla is made. This subsidy is called as appeasement of Muslim community. But the same governments are sitting over the six lakh acre waqf land belonging to Muslim community .The ruling political classe have been indulging into Waqf land grabbing for the last 70 years . This waqf land grabbing is still continuing even in the states run by BJP governments. Some Waqf land mafia are protected for unknown political reasons. The large quantity of waqf landn has been grabbed. The Waqf Boards and waqf Council work under the directions of governments and politicians of ruling parties .These Waqf Boards collude with Waqf Mafia and corrupt politicians in the loot and plunder of Waqf land. If the BJP government felt that Haj Subsidy is not a government obligation and it is appeasement of a particular religious community. The BJP government therefore discontinued Haj subsidy . So why it is not returning the WAQF properties of Muslim community which have been endowed for religious purposes and to the religious organizations like Masjids, Madarsas, Imam Bargah, Dargah, Qabrastan, Orphanages and other Muslim charitable and religious organisations? The Waqf properties are being usurped illegally all over the country .The governments have been blind to such loot .But there are allegations of political and official partnership in the crimes against Waqf properties. If Waqf properties are returned to the Muslim community , then Indian Muslims can take care of many problems inflicting the community themselves .They will not need any subsidy or grant or alms from the government. So, if this government stopped the Haj subsidy, it must be asked to return the Waqf land also, to the Muslim community .